The flat roof of your commercial building is intended to last for many years, made with durable, water-resistant materials and designed to withstand pressure from foot traffic and efficiently drain water. However, no matter how well you take care of it, your flat roof will eventually need some measure of repair or maintenance. When that day comes, call Michigan’s #1 commercial roofing contractor, Empire Contractors. A quick response and repair from Empire Contractors will help you catch small problems before they become big headaches. At Empire Contractors, we specialize in inspections, repairs, and maintenance for flat roofs. Don’t let chronic roof problems get you down – let Empire Contractors take care of your flat roof repairs and get your roof back to optimal performance. Call today at (231) 861-7221. Whatever type of repair you need, no matter how big or small, the professionals at Empire Contractors can handle it. We also provide specialty leak detection and repair services. Leak detection and repair require advanced technology and special training to ensure all points of water intrusion are found and fixed. Our roofing technicians are factory trained and certified to repair your roof leaks and provide you with leak-free performance for as long as possible. 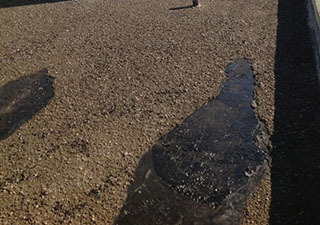 You’ve probably heard the saying, “An ounce of prevention is worth a pound of cure.” When it comes to your commercial flat roof, that ounce of prevention comes in the form of our in-depth roof inspections. Regular roof inspections, performed by a trained professional, are vital to the overall health and performance of your flat roof. Industry standards recommend having your roof professionally evaluated twice a year, usually in the spring and summer, when conditions are most favorable and accessing the roof is easy. At your request, Empire Contractors will send out a professional inspector to evaluate the condition of your roof, assessing the interior and exterior of your roof, as well as any associated components. Long-Term Flat Roof Maintenance Plans Available! At Empire Contractors, we understand the importance of having a preventative maintenance program in place for your roof, which is why we offer fully customizable service contracts for our clients. These service contracts allow us to build unique, long-term maintenance plans for each customer, specifying what regularly scheduled services you would like to receive. Many warranty programs require building owners or managers to make sure their roof receives regular maintenance in order for the guarantee to remain intact. As your flat roof ages, having a maintenance plan in place is an investment with a great return. 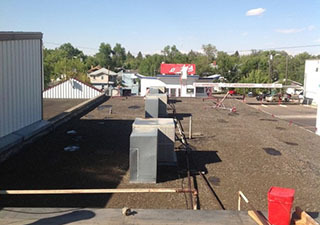 The Empire Contractors team is eager to provide you with a complimentary roof inspection and cost estimate for your commercial flat roof repair. Call us today at (231) 861-7221 to learn more or send us a message online through our website. One of our friendly, knowledgeable service representatives will get back to you quickly.